Canada Rabbit Rescue View other Rabbits for adoption. Dublin and Clover are brother & sister who are looking for a home together. 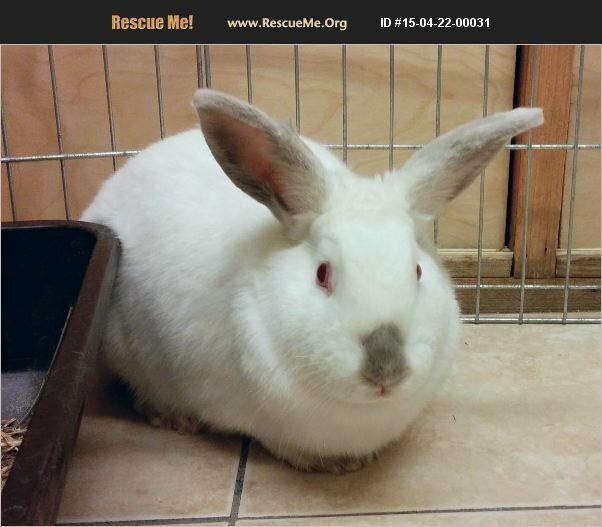 Clover is a lovely bunny with a fairly quiet and submissive personality. She is social with her foster mom, loves treats, and is very curious. Dublin is a goofball who loves to run around and explore. He's social and friendly, and likes to hang out next to you. Both buns have been in a foster home where they hear the sounds of cats and dogs in the other room and they're not too phased by them. They are not comfortable with young children and don't really like being picked up. However, they will tolerate being picked up and cuddled by a rabbit-savvy person. They do enjoy being part of what's going on so like to be part of the family. They'll follow you around (especially if you have food) and entertain you with their antics. They are curious and like to check you out and hop around you if you sit on the floor with them. Dublin and Clover were born in January of 2015, are standard-sized rabbits (about 7 lbs), and are both fixed. They have been vaccinated for Rabbit Hemorrhagic Diarrhea. Dublin & Clover are used to living indoors in their own area/room; they are not used to living in a cage, and have never lived outside. If you'd like to learn more about Dublin & Clover please contact us at victoriapets@gmail.com and tell us a little bit about your family and what you're looking for in a new pair of rabbit friends.